An amazing feat for a 15-year-old! For any 15-year-old, appearing on a talent TV show broadcasted to all of Asia seems like a stretch, especially if you male it all the way to the finals. Some may dream of this opportunity, but not for Yaashwin Sarawanan because he’s actually living out that dream! 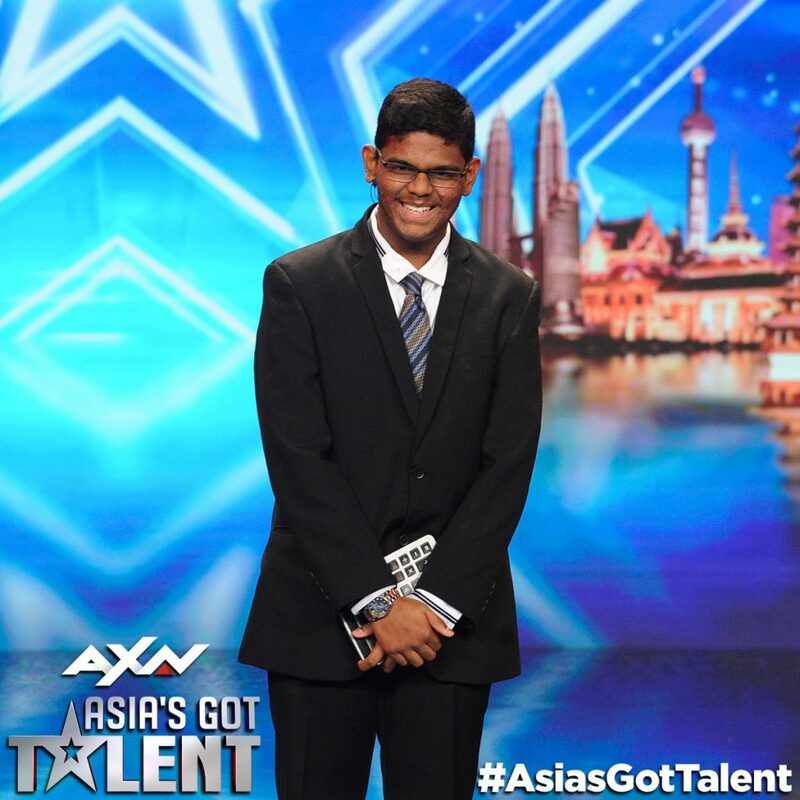 The SMK Bandar Tun Hussein Onn student became a viral sensation after auditioning on ‘Asia’s Got Talent’ where he showcased his mad math skills – mental calculations. On 11 April, Yaashwin was revealed as the top two contestants in the finals alongside Taiwanese magician, Eric Chien. Prior to the results announcement, Yaashwin performed one last time on stage and roped in the help of all three judges – David Foster, Anggun, Jay Park, as well as the two hosts Alan and Justin in his “Back to School” themed performance. He wore a graduation robe during his performance, perhaps to mark the end of his journey on the show, and performed the calendar problems act and also an addition question to which Alan was ‘punished’ at the end of it. At the end of the show, Chien was crowned as the winner of the third season of ‘Asia’s Got Talent’ and Yaashwin came in second place. So close yet so far! “It was beyond my expectations to be in the top two. From 200 acts, it narrowed down to nine, and today, I was left with Chien,” Yaashwin told Bernama after the results show. “I didn’t expect to reach this far. People don’t expect to be entertained by numbers. So I’m happy to see people entertained by what I do,” he told The Star. Not many can say they’ve achieved what you’ve done, so congratulations Yaashwin! In the meantime, if you can't get enough of his talent, watch the video we did with him recently where we threw him a little pop quiz or you can read our interview with him.